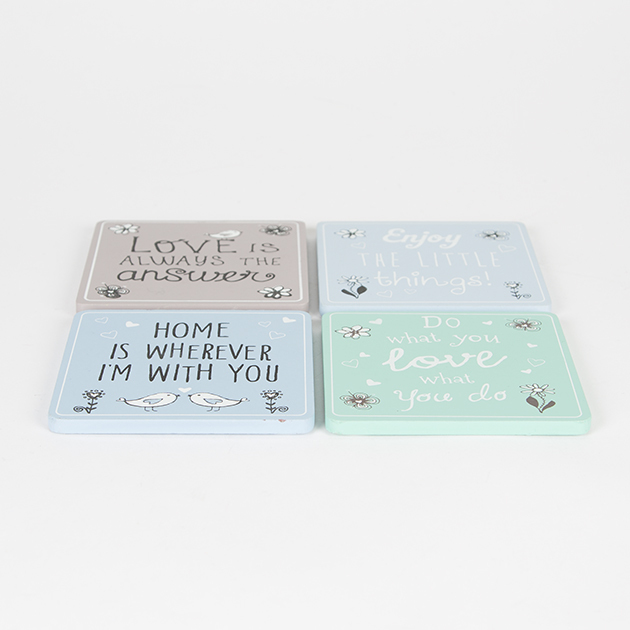 The charming sayings on these pastel coloured coasters make them a wonderful housewarming gifts. 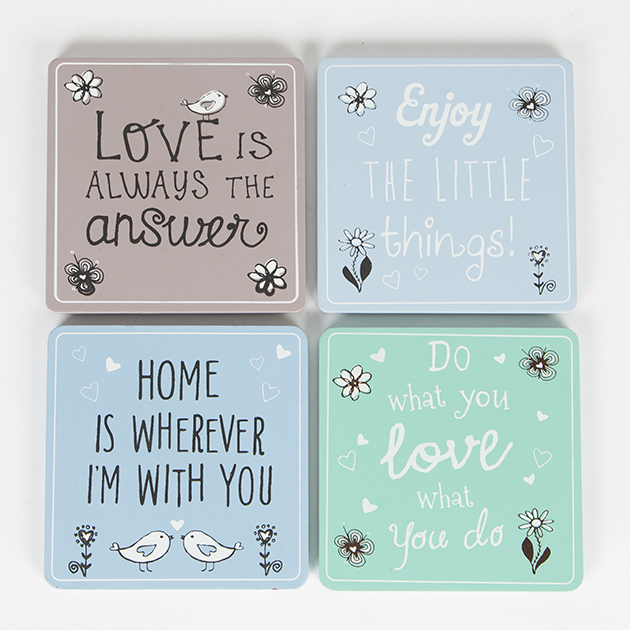 With loving and homely saying such as 'Love is always the answer' and 'Home is wherever I'm with you' featuring hand drawn illustrations, these coasters look lovely scattered around the room or on your coffee table. 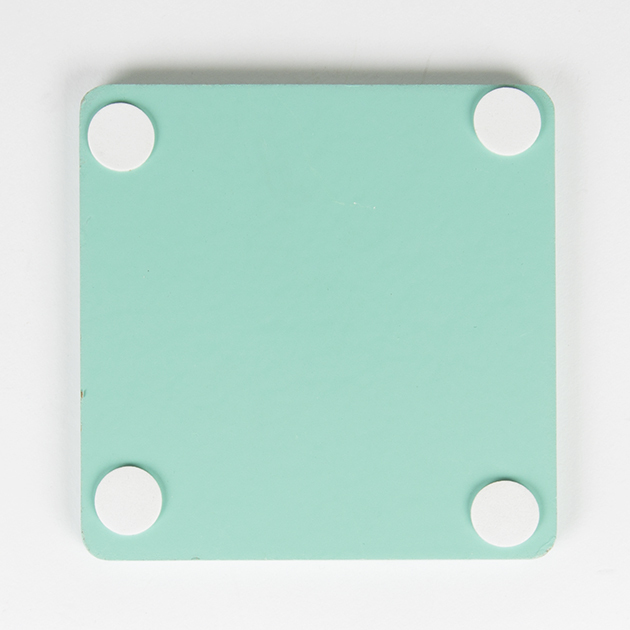 Made from wood these sturdy coasters for your favourite hot beverage with pads on the underside to prevent slipping.